The deluxe backgammon set series features radiant colors, quality craftsmanship, and beautiful design, all at a low price. 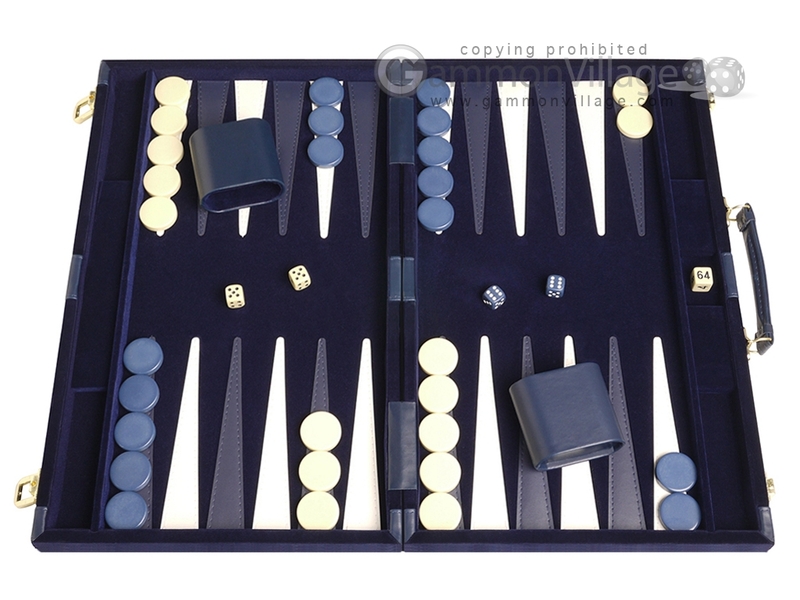 This stunning 18-inch blue backgammon set comes in a luxurious velour case with leatherette trim and features an ultra quiet velour playing field. The latches are solid brass. If you are looking for the unbeatable combination of quality and value, this is the ideal backgammon set. Closed Length: 18" Width: 12" Height: 2 1/2"
Open Length: 18" Width: 24" Height: 1 1/4"
Page P4585 Copyright © 1999-2019 GammonVillage Inc., USA. All rights reserved.